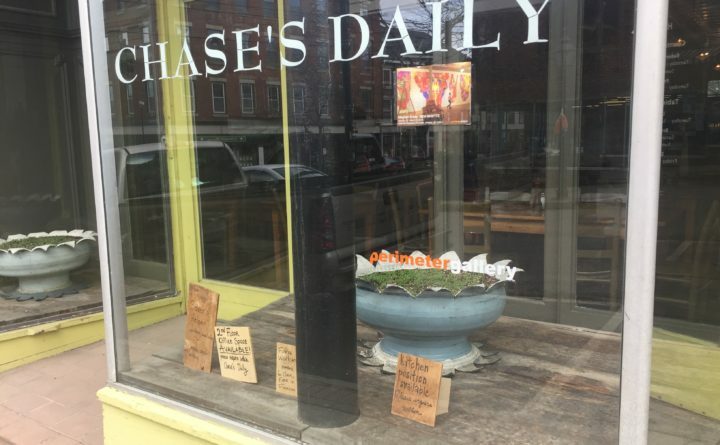 Chase's Daily, the well-known and well-loved downtown Belfast restaurant, recently announced it would be making some changes to its business model. The farmers market is a popular facet of Chase's Daily in Belfast. Eighteen years ago, when Chase family members were putting the finishing touches on their restaurant and bakery on Main Street in Belfast, they didn’t know what kind of welcome they would get once it opened. Addison and Penny Chase, their daughters Phoebe and Meg, and Meg’s partner, Freddy LaFage, had worked for months to renovate the space in the Oddfellows building and transform it into Chase’s Daily. They peeled away ugly layers such as the low drop ceiling and bricked-over windows, to reveal the spare, elegant architecture that lay beneath, including hardwood floors, warm brick walls and a soaring pressed-tin ceiling. In much the same way, the family of farmers, artists and teachers approached the food they would serve, focusing on the fresh vegetables grown at their family farm in Freedom and the breads and other baked goods that Phoebe Chase made. The food they made was simple, fresh and beautiful, and it turned out that people in Belfast and far beyond were hungry for it. The vegetarian restaurant-slash-bakery-slash-farmers market has been written up in glossy food magazines and even the New York Times. Farm-to-table before that phrase started trending in Maine, i t’s been nominated year after year to win a James Beard Award, which sometimes are described as the Oscars of the food industry. 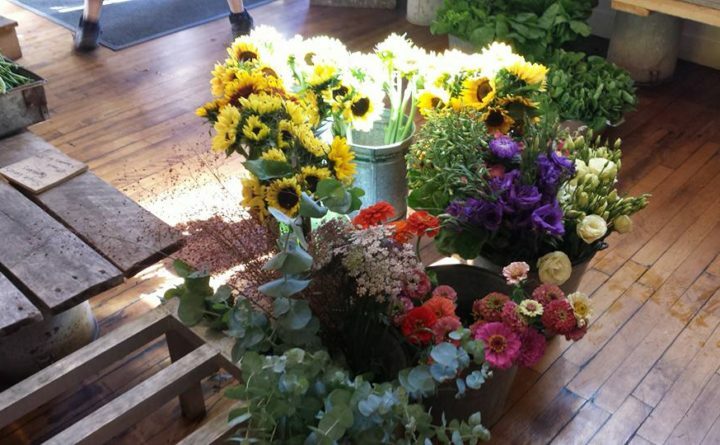 On summer days, crowds of people line up for a seat at one of the tables that LaFage made from lumber repurposed from the family’s old chicken barn, and the produce deliveries to the farmers market have been described as part theater and part feeding frenzy. In short, it’s been quite a journey for a family that learned how to run a restaurant as they went. That’s why, after 18 years of busy weekend breakfasts, weekday lunches and fancy Friday night dinners, the Chase family is ready to make some changes to their business model. But don’t worry, they want to tell their customers. They’re still excited about cooking and sharing good food. They just want the structure of their days to be a little more manageable. The fine lines of those changes are not completely sketched out yet. But the broad strokes have been. In general, the family is moving to more of a counter service business model and will offer fewer full-service meals. They’re phasing out Saturday breakfasts, the fancy Friday dinners and full-service lunches. Instead, they will offer what they call “augmented” counter service, will serve fewer made-to-order items and more breakfast and lunch options from their bakery. Patrons can grab and go, or sit at the tables where their food will be delivered to them. They are investing in a new pizza oven, and plan to serve pizza by the slice, as well as soups, sandwiches and other lunchtime foods. They’ll also offer casual dinners several nights a week and exchange their more elaborate current dinner menu for family-friendly fare such as pizza, pasta and salads. They will continue to offer brunch on Sunday and will still serve coffee and sell fresh produce from the farmers market at the back of the space, though they want to have more streamlined service for the latter options. “We know it will be kind of a shock to our customers at the beginning,” Penny Chase said. But changing up their business model will, they hope, allow them to be more efficient and more profitable. The restaurant industry everywhere has thin profit margins, and even successful businesses in Maine can struggle in the off-season. So far, customers have been positive about the changes that are coming, which is gratifying, the family said. Jessica Small of Freedom works in Belfast and stops at Chase’s Daily several times a week. She’s excited to see what’s next for the restaurant, and is looking forward to having more savory baked options and the casual dinners. The family appreciates customers like her. “It’s awesome to have the support,” LaFage said.